A Japanese version of this article is available here. As a starting point for the sustainable recovery of communities affected by disasters, decision-makers must meet the needs of the affected population while being mindful of the local context. This requires taking into account the pre-existing issues in those communities while also paying attention to the new sensitivities that may have emerged after the disaster. Ensuring the active participation and engagement of such impacted communities is, however, not a straightforward process in complex situations that pose a magnitude of challenges at the same time. The simultaneous pressure of such disasters easily overrides the capacity of the officials that are supposed to deal with the situation, the priorities of different stakeholders tend to clash and the resources that are limited to begin with tend to become severely stretched. 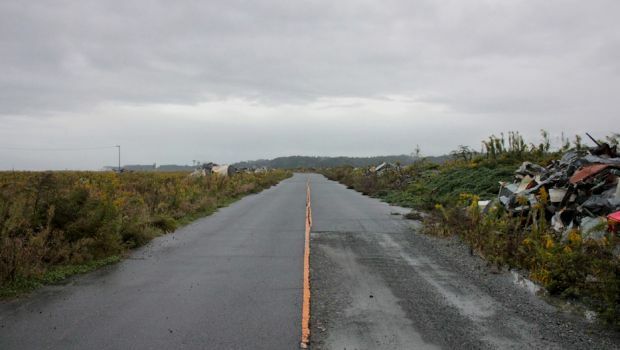 In the communities of Japan’s Fukushima Prefecture that were devastated by the March 2011 earthquake, tsunami and nuclear accident, these challenges has been compounded by deepening social divisions. Uncertainty over whether and when evacuees can return and how they can resume their livelihoods is a particular trait of nuclear accidents — a trait that disrupts the social fabric of the affected communities. This article explores issues of participatory decision-making in communities shaken by such complex disasters, integrating findings from the United Nations University Fukushima Global Communication Programme (FGC) and the Institute for Global Environmental Strategies’ Fukushima Action Research on Effective Decontamination Operations (FAIRDO) to draw lessons from decontamination operations and recovery planning processes. In the immediate aftermath of the March 2011 accident at the Fukushima Daiichi Nuclear Power Plant there was a breakdown of communication between different levels of governance. Most of the municipalities in the vicinity of the unfolding nuclear emergency had to make important decisions in total isolation regarding when, where and how to evacuate. Consequently, evacuations were conducted in a chaotic manner with most evacuees expecting to return home after a few days. The lack of guidance and support from the central government has undermined the affected residents’ trust of the public authorities. Temporary storage site for soil removed by decontamination operations. Tamura City, Fukushima Prefecture. Photo: Ana Mosneaga. In the process of crafting the institutional and legal framework for decontamination, decontamination then became closely linked to other critical questions such as reorganisation of evacuation zones and calibration of compensation schemes. In practice, however, too much attention was focused on quick implementation of decontamination without proper coordination with the other elements. Many decontamination implementation plans under the responsibility of municipalities were developed following the manual issued by the Fukushima prefectural government without adequate consultation with local stakeholders. Insufficient sharing of information and lack of public participation in the decision-making process meant that decontamination operations did not reflect local conditions and were not coordinated with relevant reconstruction/recovery plans. In reality, the aerial dose rate of radiation is only one of many factors that have to be resolved in order to restore the lives of the affected people and their communities. Decontamination operations in Fukushima were most often implemented without considering their relationship to the intentions of local residents to return or relocate, to the process of formulating and implementing local recovery plans and to the effectiveness of the existing support mechanisms including compensation payments. To sufficiently account for local conditions, decontamination operations should be carried out on the basis of extensive consultation with affected residents underpinned by enhanced opportunities for dialogue and information exchange. Public authorities have adopted a decide–announce–defend approach to decontamination, attempting to save time by merely informing people of what they have already decided behind closed doors. This must be replaced with support for multi-stakeholder dialogues in the form of community roundtables. Simply providing opportunities for local dialogue does not ensure that stakeholders are able to engage in meaningful discussions. First of all, there should be willingness on the part of public authorities to commit to honest and timely provision of information. At the same time, local roundtables should be supplemented by information-sharing platforms providing a single point of access to information provided by public authorities, relevant research institutions and civil society groups. The challenges posed by radioactive contamination require governments at local, prefectural and national levels to understand and address people’s concerns in order to regain trust and pave the way for forward-looking discussions on recovery. 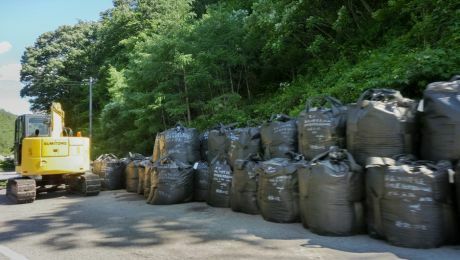 On the ground, the authorities of affected towns and villages in Fukushima are going through a trial and error process in order to ensure participation in recovery planning. Temporary housing for evacuees. Nihonmatsu City, Fukushima Prefecture. Photo: Ana Mosneaga. The degree of commitment to participatory development of recovery plans is not the same across all government bodies, however. The level of radiological contamination and displacement experienced in the aftermath of the nuclear accident influences the sense of urgency with which local authorities approach the issue. In municipalities where only some districts have been designated as evacuation zones, participation is often limited to occasional surveys. 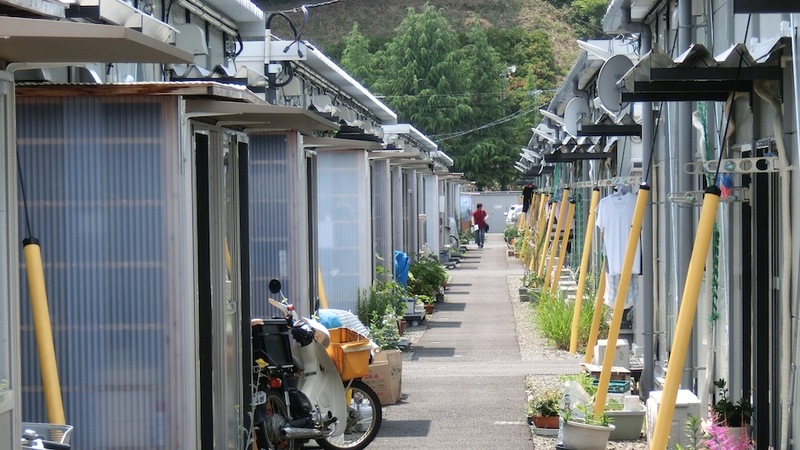 These surveys are often designed by prefectural or central government officials who are unfamiliar with the realities of social divisions within affected communities that stem from different attitudes towards radiation as well as inequalities in compensation payments. In such cases the decide–announce–defend approach tends to prevail. The experiences of these towns highlight the need to consult with different segments of the population and invest time and resources to find the best ways of reaching out to the people. While promoting the participation of people of working age in dialogue activities may be challenging, such opportunities should be provided on an ongoing basis rather than as one-off events. At the same time, placing emphasis on the responsibility of communities to future generations could provide a way of breaking the deadlock between opposing views in the process of recovery planning. Both for decontamination operations and for recovery planning in Fukushima, a balance must be found between speeding up processes and taking time to consult with the affected populations. There is no shortcut, no universal blueprint to finding this balance. It will be different for each community and it is likely to evolve with time. Ultimately, ensuring the participation of citizens from communities affected by complex disasters requires not only sufficient resources and competent, transparent leadership, but also a strong and persistent commitment by all of the stakeholders involved. The process of engaging the public may not be the most efficient way forward in the short term. Yet investing in providing channels for public participation and dialogue is the very first step on the way to ensuring a sustainable recovery. This article first appeared in the United Nations University publication Our World.